Forbes cited a survey in 2014 that revealed 51% of Americans aged 55 to 64 do not have an estate plan. Sometimes a health crisis prompts an individual to create a plan for bequeathing their assets. However, hastily making changes to an estate plan could create problems. 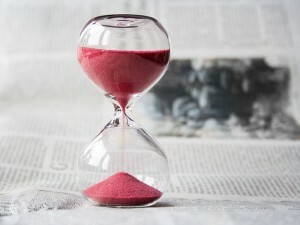 Changing a will at the last minute could cause estate disputes. Family members could argue that a modification made at the final hour was a result of manipulation by another relative or a reflex of failing health. A testator of sound mind who makes modifications to their will close to the time of their death should do so with the guidance of an estate planning attorney. If possible, alert family members of the changes so that they will not be confused after the testator passes away. Should time allow, the testator might be asked to complete a competency test. This can help manage disputes and claims of undue influence should they arise. Designations. If the testator divorced and re-married and did not update beneficiary designations to reflect a new spouse or children – the former spouse would be entitled to the respective assets. Tax consequence. The testator might recently have received an inheritance that could impact their taxable estate. Gifting these assets should be done with the counsel of a tax attorney. Asset acquisition just before the testator’s death could result in tax and probate issues if not addressed properly.